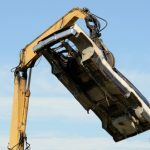 What Is a Junk Car and How Do You Know it’s Time to Sell your Junk Car for Cash? Want to sell a junk car for cash? Over 253 million cars and trucks travel on American roads today, and they differ greatly in age and condition. A junked vehicle is typically considered to be a car that’s so old and badly beaten it no longer runs. But that’s not always the case. 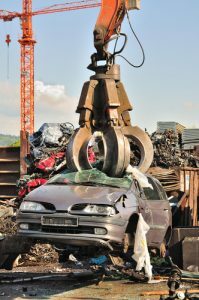 A junk car can be determined by a number of factors, not all of which have anything to do with its actual age. 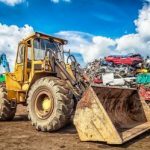 Regardless of how long you’ve owned the vehicle, if it qualifies as a junk car it’s valuable to a scrap yard in Detroit. Here are some signs you should consider selling your junk car for cash. Sometimes a vehicle just needs some maintenance. Other times, it needs major help such as a rebuilt engine or transmission. But if your car doesn’t run even after a fair amount of work, it’s a junk car. Other than a collector vehicle or personal project, the sole purpose of most cars is to get you from point A to point B. If it can’t perform its duty, it doesn’t matter how impressive it looks in the driveway. Cars only run so long before major repairs are needed. And major repairs can be quite costly. If you’ve been especially hard on your car, chances are it’s high in mileage. Even if you haven’t had the car for long, if it’s older or has been driven hard prior to transferring ownership, trouble could be just around the corner. Pay attention to the mileage. If the car has over 150,000 miles on it and expensive repairs begin accumulating, it may be time to sell your junk car for cash. Your car can look fine on the outside and even seem fully functional. But once it’s on the road, all bets are off. An aging or heavily used car can develop problems seemingly out of nowhere. This is especially worrisome if you’re transporting precious cargo. If you’ve put time, money, and effort into maintaining your vehicle and you still don’t feel safe in it, then you need to get rid of it. Fortunately, Junk My Car Detroit is ready and waiting to take it off your hands and pay you cash for the opportunity. All registered vehicles in Michigan are required to carry insurance, but not everyone has full coverage. Even if you do, the deductibles for body damage can be ridiculous. If your car has over $1,000 in necessary body repairs, or if you have to pay that in deductibles alone, the repair cost may be more than the value of the car itself. But don’t worry. You can still sell your junk car for cash. Body damage is one thing, but internal mechanical repairs are often far more expensive. A reliable ride won’t burn a hole in your pocket or make you take a second mortgage out on your house. But when expensive repairs start to set in, chances are they’re going to repeat. When that happens, your car can cost more to repair than it’s actually worth. It stops being reliable. And at that point, it’s a junk car. When you’re ready to get some serious cash for your junk car, call Junk My Car Detroit. 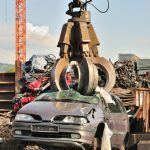 What Should You Do with Your Junk Car? Clean yard and great staff. I needed to get rid of a junk car and dreaded posting it on Craigslist and dealing with all of the "top dollar" people who come and offer $25. I filled out their contact form online the night before, they picked it up (free) about 1 p.m., and gave me a far better price for my car than I expected. I have junked several cars, and this was the easiest process ever. All I really had to do was fill out the online form and sign the title. Great Company! Clean yard. Very rare. Received the best price for my junk car and very friendly staff. Would highly recommend people to sell their junk car here. Thank-you so much for your prompt, personal assistance with the transfer of my 1996 Ford Aerostar to GLR. 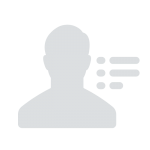 In a climate of impersonal, if not rude, customer service, it was extremely refreshing to deal with you & GLR. Everything about our transfer transaction couldn’t have gone any smoother. Your attention to detail and the customer was unparalleled! Again, Thank-you for your outstanding assistance. You are a real credit to the organization. Great customer service! Friendly and easy to accommodate with. Definitely recommend to others and businesses. 5 out of 5 stars. Doing business with GLR Advanced Recycling is a true pleasure. Their staff is always accommodating and helpful. Their rates are always at the top of the scale. Thank you for doing such a great job!